Welcome to Turf Growers, the UK's leading Turf Suppliers, we supply beautiful quality lawn turf which we supply to domestic and commercial customers through out the country. Our turf is cut fresh to order each day and delivered on an overnight service to ensure it arrives with you as fresh as the day it was cut. We supply turf in three varieties, every variety is of excellent quality, however each type has been grown from a fit for purpose seed blend to ensure that what ever your lawn needs are we have a turf to suit you. 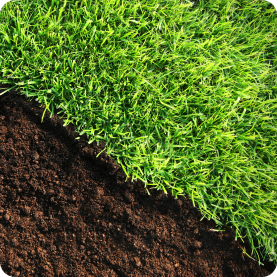 All our turf is grown to the leading industry standards governed by the Turf Growers Association ( TGA Standards). This ensures that your turf is of the highest quality and has been grown and harvested in accordance with these guide lines and makes us one of the leading UK turf suppliers.